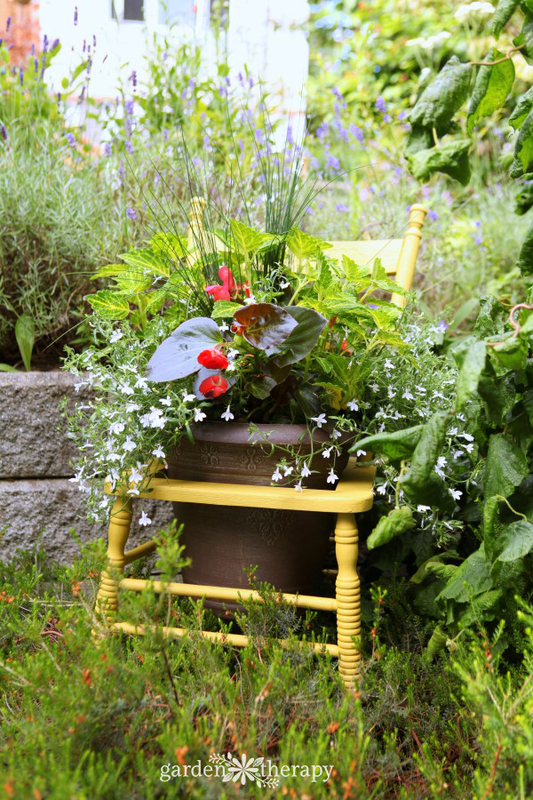 This sunny upcycled chair planter is just the thing to showcase a stunning annual display in a hidden part of the garden. 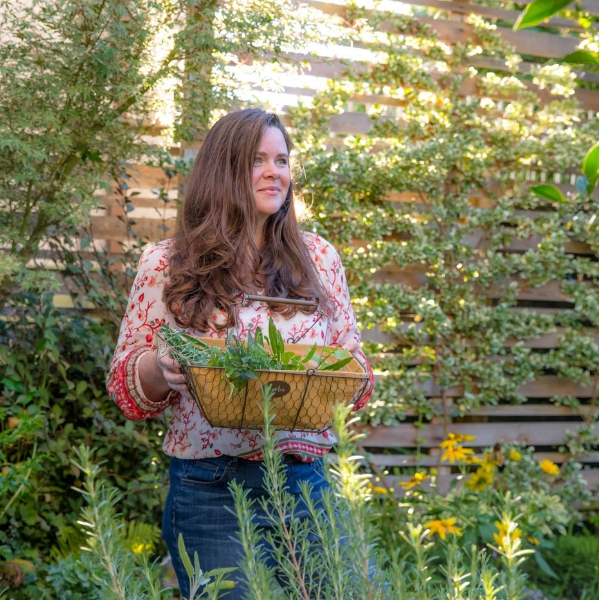 It adds rustic charm and a touch of whimsy to any backyard. And it comes with a story. Not long ago, I happened to see a beat-up old wooden chair out in the back alley. It had no seat, the rungs were broken and unglued; it sat toppled over, looking a bit sad. I saw the beautiful details in the wood and had a vision for giving it a new life in my garden. I do love to add quirky elements like this to the garden, as you can see with this wire-basket-turned-garden-chandelier. 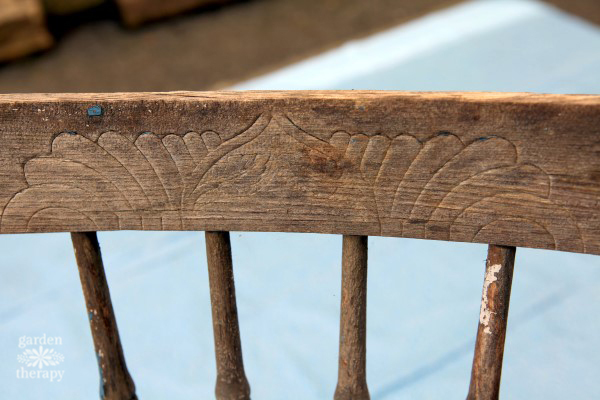 If you have the luck to happen by an old broken-down chair with too much personality to throw out, It’s not as simple as just throwing on a coat of paint. 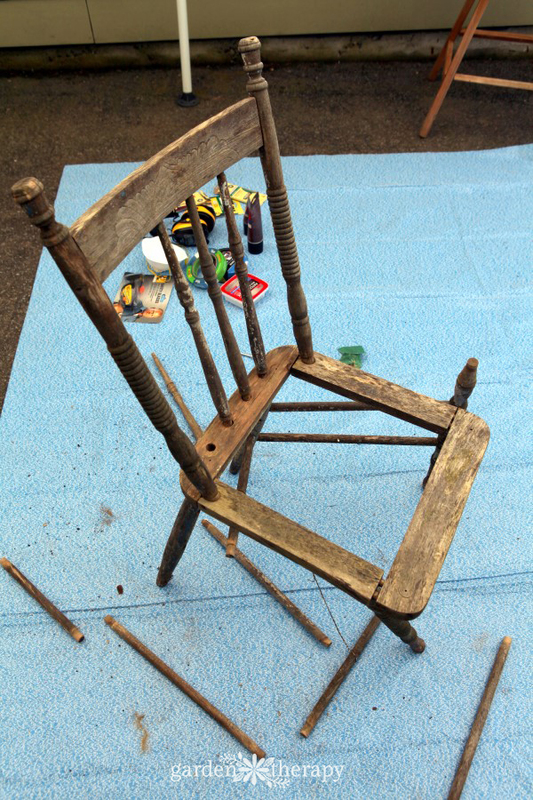 You will need to do some repairs and make sure that the chair is strong enough to last outdoors. Disclosure: this post was sponsored by 3M who also sent me the materials to makeover the chair. 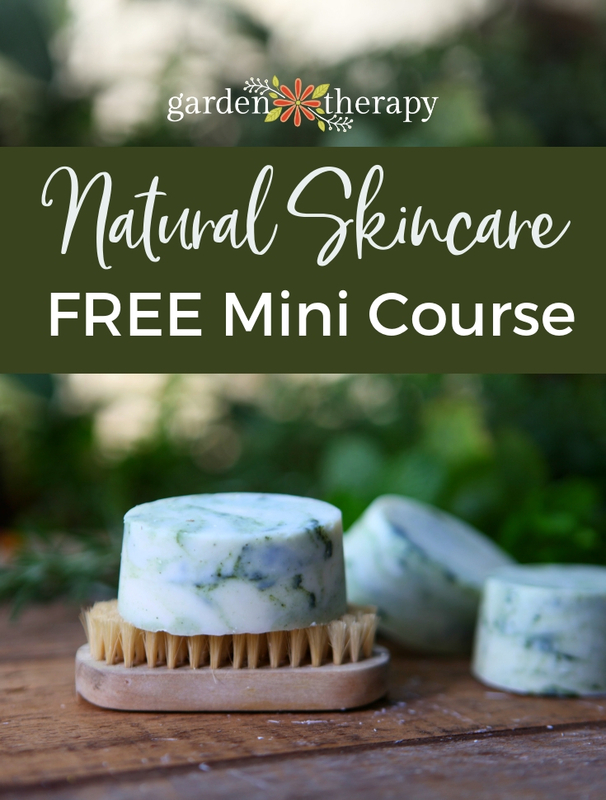 The project ideas, instructions, and opinions expressed are my own. Pull apart any of the loose parts of the chair to see what you are working with. If the chair has a seat, use a screwdriver to remove it. 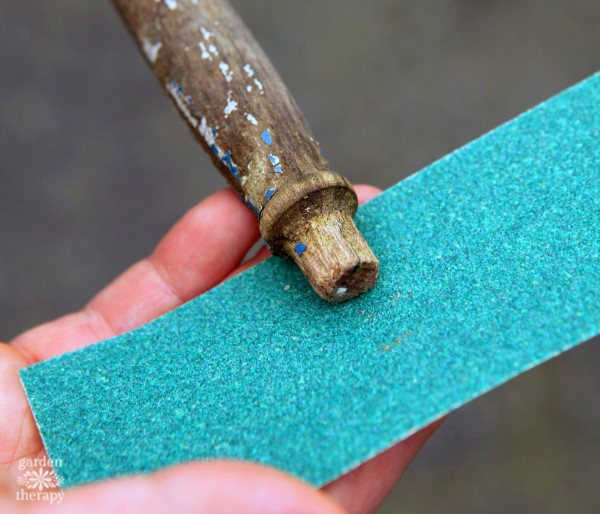 Use sandpaper in 80 grit to take off any remaining bits of glue, paint, or dirt on both the hole and peg of the chair rungs and legs. 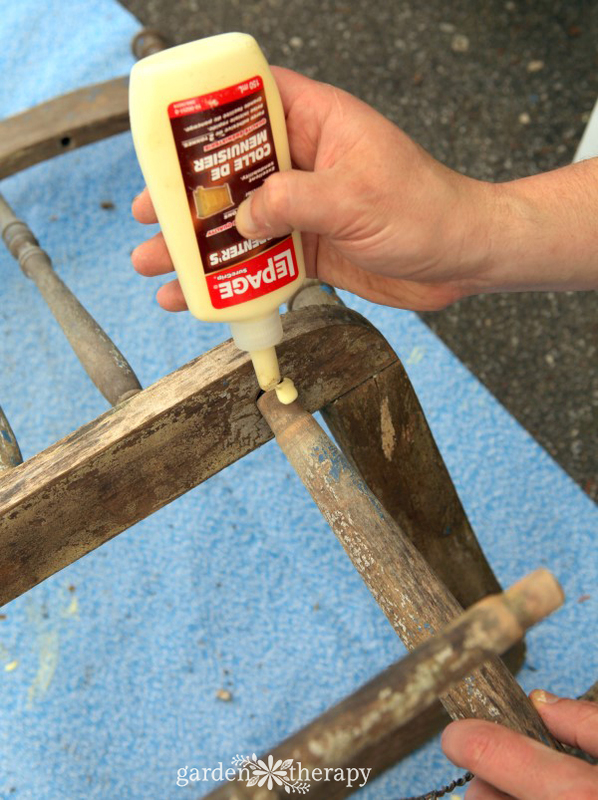 With older furniture that may have remnants of lead paint, it is best to use a valved respirator while sanding. Regardless of the age of the chair, it’s always best to use protection so mask up! 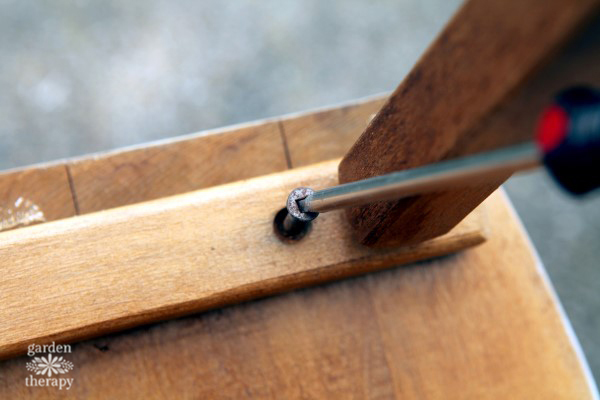 Use wood glue to secure all the parts back into place and strengthen any joints that are loosening. Tighten the screws holding the chair together and replace any missing hardware. 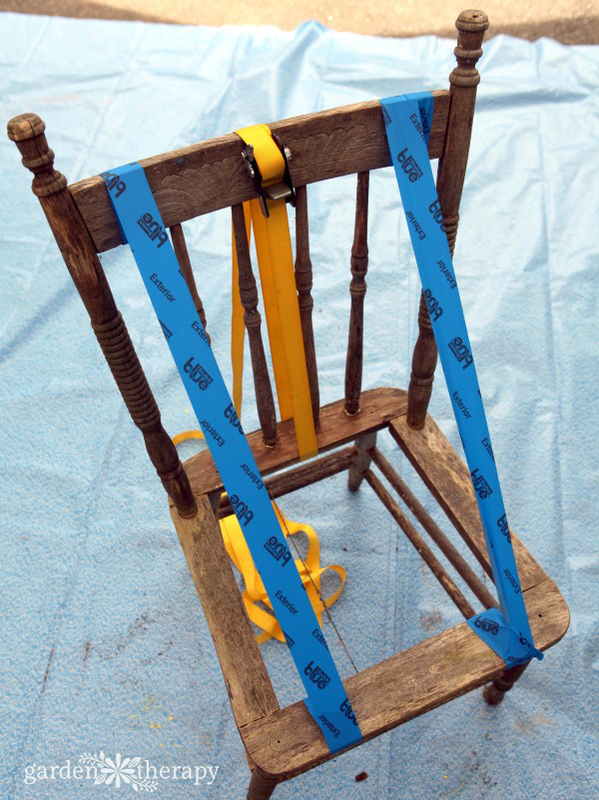 Use a strap clamp and painting tape to hold the joints together while the wood glue dries. Fill any nicks, grooves, or holes with wood filler. Sand when dry to smooth out. 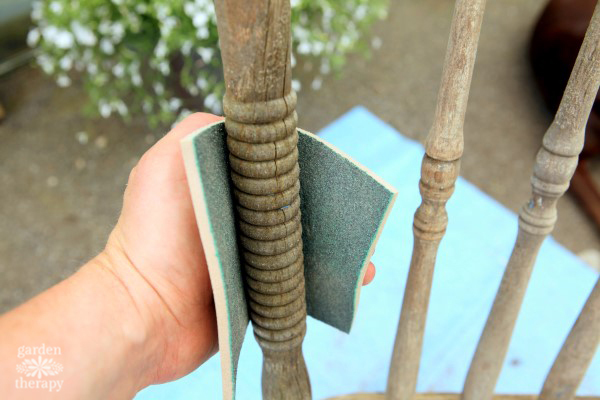 Prep the chair now for painting by sanding off any loose paint or debris on the wood with coarse 60-grit sandpaper. Wipe with a damp cloth to remove all sanding dust. 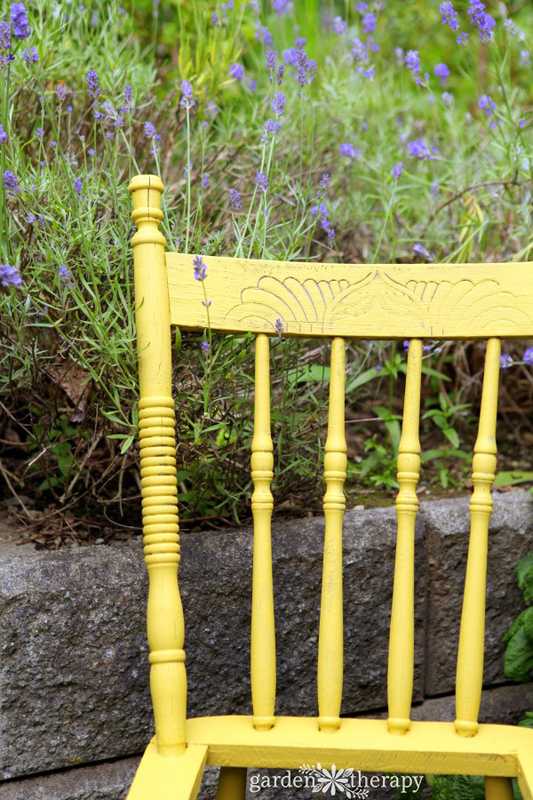 Paint the chair with an exterior wood paint with primer, or prime the wood surface before painting your chosen color. 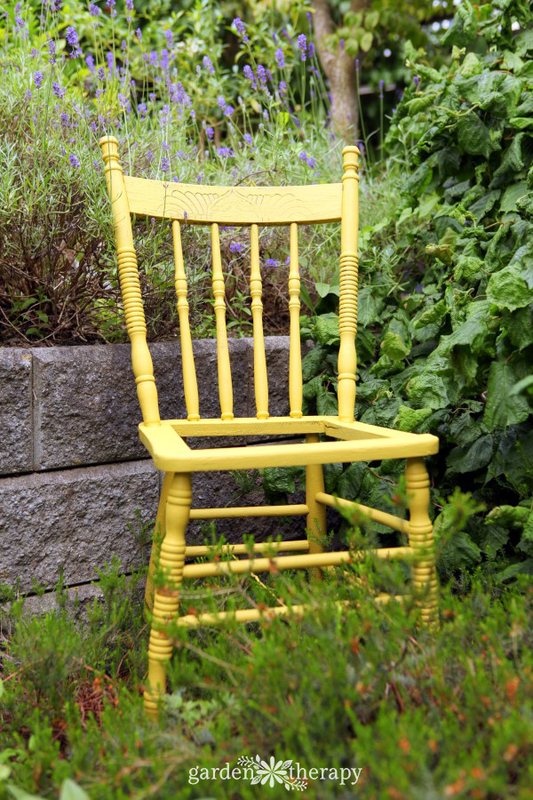 I used a flat paint in “lemongrass” which looks like a bright sunny yellow in the garden. I didn’t use a heavy hand with the paint on some of the details so they would stand out. On most other areas I gave it a few coats to ensure that the planter would stand up to the elements. This chair is now ready for the garden. You can simply set it in the space to add some colors or use it to prop up floppy flowers like peonies. 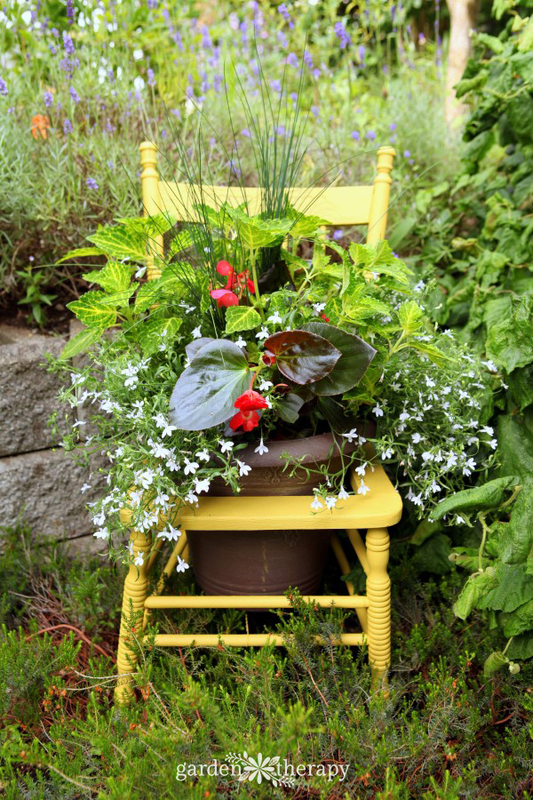 If you prefer to plant it, then look for a container that is wider at the top than the bottom so that it fits into your chair. Choose a decorative pot that compliments the chair, like this bronze pot which pulls out the details and the color of the decorative trim of the chair. The planter shown has begonias, coleus, and lobelia, with some grasses for height. I swap out the plants each season, as you can see here with some perennials that have been planted in the fall. 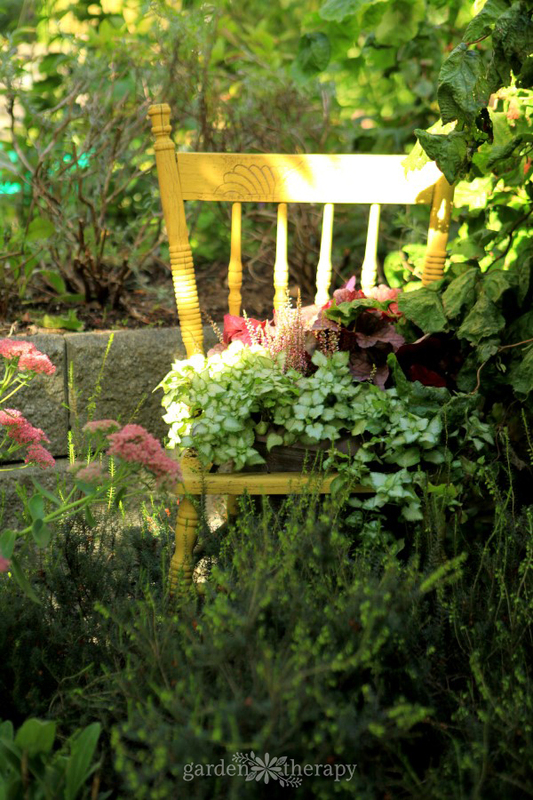 You might also like to make a succulent chair planter for a hot and sunny area. I would love to see a picture, Judy!